Hey guys, what up? We finally meet again after my writing hiatus, it has been quite a while now... I hope I can make it all up and catch up with so many things that going on in the world, especially Indonesia! :D With election day coming soon! Hoping the best for Indonesia! And as for Tokusatsu, is a live-action film or drama which uses quite a lot of special effects in its storytelling, such as Godzilla or Ultraman.Tokusatsu also has been considered as one of the most popular forms of Japanese entertainment. To start this new series of Mountsickness.com articles, I have been working on a review project for WAKUWAKU JAPAN regarding their television programs. I want to do this, because first and foremost I like Japanese cultures, second, I like to review things and give my most honest opinion, third, I'm subscribed to Firstmedia where I can enjoy watching WAKUWAKU JAPAN television programs as I wish, fourth, I have the spare time to write, a lot of spare time in fact, and the last but not least, the fifth, WAKUWAKU JAPAN review task can bring me some new ideas of my next articles... So it's a win-win solution. And there you have it! :D Please sit back, read, and enjoy my story review of one of WAKUWAKU JAPAN television Anime/ Tokusatsu program The Masked Rider Black! 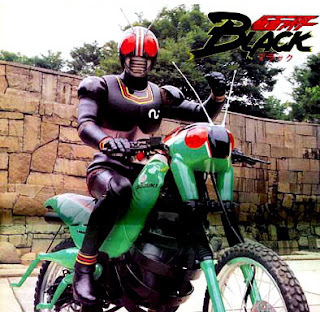 In Indonesia, not too long ago, The Masked Rider Black was also known as Ksatria Baja Hitam. Rajawali Citra Televisi Indonesia or RCTI was the first local television broadcaster to introduce this tokusatsu to the Indonesian viewers back in 1993. It was an instant hit, everybody, mostly students, suddenly talks about ksatria baja hitam or Kamen Rider Black as they call it in Japan. And due to its high popularity, the series goes back on air in 2004-2006 with the help of Indosiar, another Indonesia local television broadcaster. As the name implies, Gorgom was a very evil organization, aiming to recreate the world/ universe with any means necessary. Including the kidnapping of Kotaro Minami and Nobuhiko Akizuki, whom they planning to sacrifice their body by transplanting the King Stone and turn them into some kind of evil God candidates called the Century King, which the three priests of Gorgom helps create. It is said that if the candidates were to succeed in becoming the Century King, he could recreate the entire universe as he pleases, and that means Gorgom will win, and rule the world. But faith wanting another ending, as the two of the kidnapped princes struggles to get out of Gorgom grasp, only one of them manage to escape, it was none other than Kotaro Minami. With the help of a weird living motorcycle, later known as Belalang Tempur or the Black Hopper, Kotaro Minami finally escapes but only to encounter the Three Priests of Gorgom. 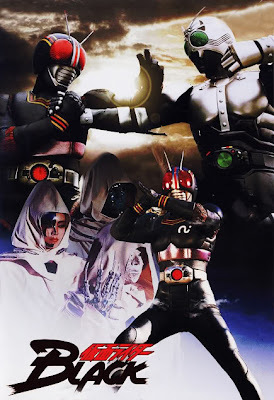 Somehow the King Stone which has been trasnplanted into his body reacts to the situation, subconsciously Kotaro changes into some kind of hopper-man, and continues to evolve into... as the Three Priest says the name in amazement: The Black Sun! 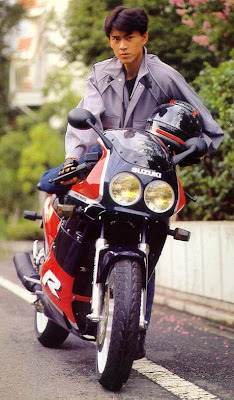 Later on, Kotaro Minami, with his newly found powers calls himself The Masked Rider or Kamen Rider Black or Ksatria Baja Hitam. Henshin! And thus the legend of Ksatria Baja Hitam starts, fighting off evil henchmen throughout the country, finding clues, doing everything he can in order to save his best friend from the grasps of the Evil Gorgom! Since then, one after another, a new tokusatsu film pops up on the silver screen to try and repeat the same success Masked Rider Black has achieved, including the American version, which was also quite well known, The Mighty Morphin Power Rangers, does that ring a bell? Well, feel rejoice! Because the time you all have been waiting for is finally here, WAKUWAKU JAPAN has put the long awaited tokusatsu and brought him back alive as one of their regular television program. WAKUWAKU JAPAN schedule the famous tokusatsu film airing starting from Monday to Friday, from 06:30 AM to 07:00 AM Western Indonesian Time (GMT +7). The Masked Rider Black is also being aired with two reruns in one day. The first rerun aired from Monday to Friday at 08:30 AM to 09:00 AM. The second rerun aired from Monday to Friday at 16:30 PM to 17:00 PM. In my opinion, the broadcast schedule is the most important thing to consider first, because even if the film is great and all but if no one is watching it because they are off their schedule, it would be pointless. And I think WAKUWAKU JAPAN has the schedule pretty much covered. You can watch it in the morning before going to school, or if somehow you missed it, you can still watch it on the second rerun after school at 16:30. Thank you WAKUWAKU JAPAN! 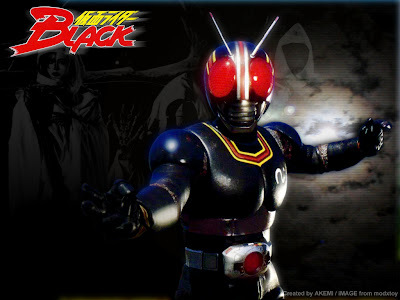 The Masked Rider Black/ Kamen Rider Black and all images related in this article is an (c) ISHIMORI PRODUCTION INC. and TOEI COMPANY, LTD. All Rights Reserved.